It is hard for me to believe that this is the last day of 2012. Just last week, I inadvertently wrote 2011 on a check I was writing. Now, I need to try to retrain my brain to write 2013! The Christmas events of these past weeks have flown by. Now, the clearing, cleaning and de-cluttering awaits but for one more of the "Happy Holidays" I am choosing to celebrate in this one season of God's amazing goodness. That's right, I am not procrastinating, I am intentionally taking time to celebrate God's faithfulness of 2012 and His everlasting promises preordained for 2013 before packing up all the red and green. My guy and I are planning an early dinner date in Nashville this evening. (The girls are excited to spend a few hours not hearing the word "no" at their Nana's and Pa's.) We will use the time of uninterrupted conversation to reflect on the journey that God has led us through that we label 2012 and to dream about what plans God may have in store for the next 12 months. He is the one to "work within us" and make it happen. He will be glorified "in the church." 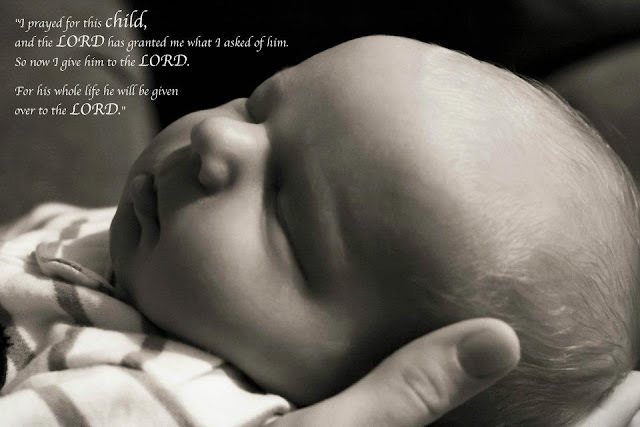 His name will be exalted in this generation and in "all generations, forever and ever. Amen." Let me encourage you to set aside some time and be intentional in this last holiday of the season. What will you do to celebrate? Christmas season gets crazier every year. If your church is like ours, there are parties every night and sometimes several at the same time. Everyone wants the pastor and his wife to attend their party. Right now, we only have one night between now and Christmas to just sit and have a silent night with a nice cup of cocoa. Ah . . . "Silent Night" is one of my favorite carols of the season. I absolutely love a candlelight Christmas Eve service to end with this carol. I can barely hold back the tears when we softly sing the words. I have found myself at times closing my eyes to picture the first holy night. I imagine in the quietness of the night Joseph is holding his sweet Mary’s hand as she labors in childbirth. Around them the farm animals munch on hay or are resting. I see stars sprinkled in the skies overhead. It is a bright, clear night. The world seems at rest yet I wonder if even the rocks know what is about to occur. It is silent night until suddenly the cries of a new born baby can be heard. Suddenly the heavenly hosts cry out with joy at the arrival of the Savior Christ Jesus. All creation rejoices at the birth. When my sons were little, “Silent Night” became one of their “go to sleep” songs on Christmas Eve. After we would set out cookies for Santa and read “The Night before Christmas,” my husband would sit with the boys on the couch and read the true Christmas story. Afterwards we would march our boys to their bedrooms and tuck them in. When the lights were out, we would softly sing “Silent Night” together. For me, it did seem the night was full of peace. That creation was remembering the first holy night of long ago. **To each of you this Christmas season, many God pour out His riches blessings on you and may know you just how much He loves you. As I said the other day, we are preparing our home for Christmas in a big way. 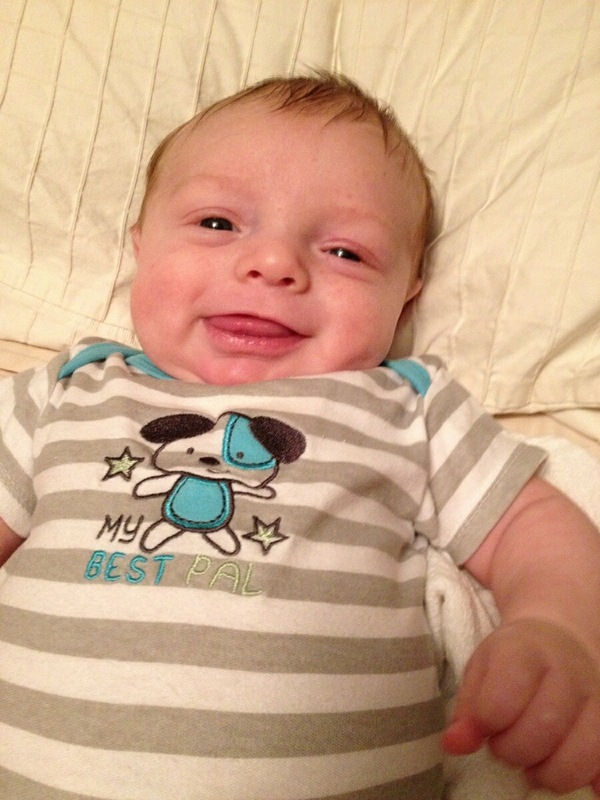 There is much excitement in the house as well because our new grandson, Gideon, is coming for his first visit. The tree is up, lights adore the outside of the home, a few gifts are under the tree, and although Gideon is not on solid foods yet, I am getting ready to do the holiday all-things-chocolate baking. In addition, the extended family is coming in for the big visit as well. However, with all the commercial Christmas doings going on in my home, I want to begin teaching Gideon the true meaning of the season. I want him to know that it is not about the gifts and the decorations. I want him to know that Christmas should be celebrated all year because the birth of Jesus long ago in a manger. I remember as a little girl that we had a very special nativity given to us by a relative. Each year Mom would unpack this special treasure and place it in a prominent place in our home. The manger was actually a music box. My brother and I would take turns winding the knob in order to hear the carol “Away in a Manger.” As a family we would sit and listen to the Christmas story read from the Bible. We decided in our later years to not place baby Jesus in the manger until Christmas Eve night, but we always turned the knob to hear one of our favorite carols. This year is a little different. Mom is celebrating Christmas with her Savior. Dad now resides in a nursing home. Our manger set is packed away somewhere at our parents home. However, one day soon I plan to make the trip back home to retrieve this special treasure. Although we do not have the manger set with us this year, we do have our Savior. He is not in hiding. He is alive and well. When my sweet grandson wakes in the early hours of the morning, I plan to rock our special treasure from God and softly sing “Away in a Manger” and tell him of the true meaning of Christmas. In a few days there will some lullabies floating in the air of our home. Our grandson, along with his mommy (our son is deployed overseas this Christmas season), is making his first visit to our home. We are beyond excited and filled with anticipation for his arrive. While we are excited about Gideon coming, I feel that Mary and Joseph were filled with anticipation at the arrival of their son, Jesus. He would not be an ordinary child. He was God incarnate. However, I am sure that once Jesus arrived, Mary sang him to sleep with sweet lullabies. Over the years many Christmas carols have graced the stages of concert halls and church auditoriums. There are a few carols that actually bring tears to my eyes and bring memories flooding to my mind. If you would allow me, I would like to share a couple of my favorite carols with you this week. Sweet Little Jesus Boy, composed by Robert MacGimsey in 1934, is not a very common carol sung in churches today. I first discovered this sweet song when my husband was in seminary and I was taking a vocal music class. The professor made assignments for our final and I was given this spiritual to perform acappella. Since I had no history of this piece I did a bit of research and discovered that although the song was written by a Caucasian man in the early 1900s, it depicted the sound and plight of the African American slave. This song is filled with emotion. This spiritual rings with hope, not just for the slave, but for a lost world. At Christmas I often find myself humming or softly singing the words around the house as I prepare for the Christmas season. Just the other day I was setting out our nativity and began thinking of that first holy night so long ago. I wonder if Mary had prepared the manger bed with fresh hay for her soon coming child. I wonder if her child birth pains were great or if she was at complete peace in knowing she was giving birth to the Savior of the world. What did Mary do when she first heard her newborn son cry? Did she sigh and smile? Was she awestruck when she looked in the eyes of her newborn son? Or did she cuddle her baby close, kiss his forehead, and hum sweetly in his ear? What about Joseph? Was a scared earthly father? Was he uncertain of what life would be like? It would certainly change for them in the coming minutes. Their son would be no ordinary baby. He was the Living God come to save the world. At the moment Jesus arrived, did Joseph fall to his knees weeping in holy worship? In anticipation for this Christmas season, I challenge you to find the words or listen to a recording of “Sweet Little Jesus Boy”. Find a quiet spot, close your eyes, and really listen to the words. Try to imagine what Mary and Joseph might have experienced. Then, rediscover what Jesus really means to you. As the gift buying starts to wind down (Christmas is less than two weeks away! ), you may have some special gifts that you are giving this year, or perhaps you have a unique gift in mind that you would like to receive. After all, Christmas is all about giving….right? Yes, Christmas is all about giving, for we know that our Father gave us the greatest gift the world has ever known, and will ever know: His only Son, our PRECIOUS Lord and Savior. Since we have been given so much in the person of Christ, what can we give back this season as an act of gratitude and love for our Lord? Perhaps, we can give more time, kindness, and love in honor of the One who first loved us. Giving in these areas always blesses others, and as a bonus, we get blessed too, just knowing that we have poured into the lives of others! So this Christmas give more………. Time: Time can be given in many different ways. It could be spending time getting reacquainted with an old friend or running errands for a home bound relative or neighbor. Also, it could be creating new memories with children or grandchildren that will become holiday traditions for years to come. Giving of our time is a wonderful gift to give to let others know that you enjoy serving them or just delight in being in their presence. Kindness: Small acts of kindness go a long way in encouraging others. An appreciative smile and a gracious “thank you” given to a frazzled salesperson during this hectic holiday season can truly lift their spirits. Baking special goodies to give away to neighbors or co-workers or offering to gift wrap presents for friends and family are other ways to be kind and thoughtful. And if your schedule allows, give babysitting services for a young couple so they can enjoy a long over do night out. Love: We all probably know of or have individuals in our lives that are at times, shall we say, “difficult to love”. Go out of your way to show the love of Christ; perhaps it is a church member, family member, neighbor, co-worker, etc. We truly need the Lord’s help to show us how to love the difficult people in our lives. Giving love could be as simple as offering a listening ear; because I truly believe that those who are hard to love at times may be hurting on the inside and are just in need of someone to talk to; you could be that someone. So, this Christmas as we think about the greatest Giver in the universe, should not His love for us compel us to give these things and sooooooo much more? What would you like to give more of this season and beyond? So, as we give this Christmas season, may Christ’s love compel us (2 Corinthians 5:14)! This year I got talked into doing something I really don’t enjoy doing: shopping on Black Friday, or is it Black Thursday now? Unbelievably many retailers now attempt to catch multitudes of bargain hungry shoppers on Thanksgiving Day! I must admit that I, too, got caught up in the frenzy, but I didn’t stand a chance. Here’s why: both of my daughters begged and pleaded with me to go shopping, which they have done for the past few years. Their begging and pleading worked; I was weak this time, and just couldn’t say “No”. However, I was not without a plan: I went out with my twelve year-old daughter at 8:00 on Thanksgiving Day to catch a video game/board game sale, and then at 12:00 a.m. (can you believe it!) my teenage daughter and I went out to catch a sale at a department store in the mall----we didn’t get home until 3:00 am!! What madness!! But it really was a lot of fun, and I actually got some of my Christmas shopping accomplished. And I especially liked the fact that it was a special time of fun and bonding with each of my daughters one-on-one. As I thought about this little “Black Thursday/Black Friday” adventure, and seeing the gobs of people out shopping into the wee hours of the morning, it made me think that perhaps this is all that Christmas means to many of them. Shopping until you drop, buying and spending (sometimes too much! ), getting caught up in the retail chaos, attending parties, the decorating, preparing for visits from out-of-town friends and family, and a myriad of other holiday traditions are not necessarily bad things; but these things should not divert our minds to cause us to forget about the true meaning of Christmas. Holiday traditions and activities should not be the main focus; the season is all about HIM, the One who came as a humble little baby to be born of a virgin mother, who would one day become our wonderful and glorious Savior. As Christmas day quickly approaches, may we all slow down from the whirlwind of things on our “to do” list and take some time to reflect on the true meaning of the season: God came in the flesh to save us from our sins! Wow, what a marvelous truth to celebrate. Remember, it’s all about HIM!! As a young girl, my daughter use to sing this song all of the time. It has become one of my favorite children's Christmas songs. Let's all wrap ourselves up and give our complete lives to Jesus!!! I teach the pre-school class on Sunday mornings and Wednesday nights. My class consists of mostly two year olds. As you can imagine, this past Sunday morning I was still flying high because of the birth of Cameron and it is just amazing how God allowed me to use Cameron's birth to introduce the birth of Jesus. We began the class sitting at the table, coloring a big "J" with a manger and talking about "J" stands for JESUS. Next, we made our way over to "circle time" where we have the story. Sunday, during circle time, I showed them pictures of baby Cameron, and him with his mom, his dad, his Mimi and his Grandaddy. We talked about how each of them was once a tiny baby just like baby Cameron. For the first time, I had EVERYONE's attention; that is hard with two year olds. THEN....we talked about a long, long time ago baby Jesus was born...just like baby Cameron was born and just like each of them had been born. They asked so many questions and were so interested. Then Elan wanted to know who Jesus' mommy and daddy was....which brought us to Mary and Joseph. All of the children were sooo excited about the lesson and went to the craft table so excited to put hay in the manger and lay baby Jesus on the hay. They left class talking about baby Jesus was born just like "ME" and just like baby Cameron. God knew it would be hard for me to focus because I had "Cameron" on the brain, so he opened the doors where I could use Cameron to get the children's attention. This was a very simple little lesson, but, if we will allow God to guide us, He will always use simple everyday things to help us spread His word. Sunday morning at our church, we had our annual "Hanging of the Greens" program. It was AWESOME!!! What a blessing. We have a beautiful sanctuary with a 12 ft. Christmas tree. During our "Hanging of the Greens" program Sunday, my husband did the talking and brought meaning to everything. He explained why we have the bells and greenery, etc. at Christmas. While he was talking, the children and youth of the church did the "actions". The two year olds began the program by walking down the center isle and going around to the side isle, ringing their bells, followed by the older children doing the same. During the entire program, we had a slide show that went with the program and made it even more real. Bells were rung, wreaths were hung, candles were placed in the windows, poinsettias were placed in the alter, ornaments were hung on the tree, candy canes were presented to everyone present and the first candle of the Advent was lit. "Oh, Holy Night" was sung and In the conclusion, the lights on the tree are turned on. HOW BEAUTIFUL!!! And HOW SPECIAL to be reminded of what each and everything means. Every year, our church tree looks different. This year, our decorations were red and lime green. Each family in the church is encouraged to get an ornament and put their names and date on it to be hung on the tree. My husband and I have been involved in Southern Baptist Churches the entire 33 years that we have been married, but until we witnessed the "Hanging of the Greens" program at our current church, we had never seen it and knew very little about it. "Hanging of the Greens" is a great way to begin the December holidays. It helps to turn our focus on the true meaning of the season. If your church does not have a "Hanging of the Greens" program already, I would suggest that you encourage them to plan for one next year. You can go on the Internet and "google" it and find all kinds of suggestions. I promise, if you have never sat through a "Hanging of the Greens" program, you will not leave with a dry eye. I am writing this post on Wednesday night, November 28th but will not post it until next week when I am scheduled to blog. Now I understand why Vickie wrote her blog the day of Gideon's birth. I just got home from a long day at the hospital.....and felt I would burst if I did not write something. Today, we met our little MIRACLE; Cameron Lee Hicks. (Our first grandchild.) All babies are miracles, but Cameron is especially a miracle. Almost exactly one year ago, our daughter had gone through a year of infertility and the "Specialists" told her that nothing had worked to correct her PCOS syndrome, so her chances of ever conceiving a child would be very expensive and slim to none. They chose to give up and she went back to her midwife to be treated for the PCOS......and after sharing with her the words of the "Specialists", her midwife told her...........they are only doctors.........you and I know the GREAT PHYSICIAN......we are not going to give up....but continue to PRAY. Anyway, without going into great detail.............she DID get pregnant and later because of the PCOS, developed gestational diabetes......etc.....so she was also having to see a High Risk Doctor. However, against all odds, today, November 28, 2012, she delivered Cameron Lee Hicks at 8:26 a.m., by c-section because his shoulders were determined too large for her. He weighed 8lbs. and was 21 inches long and has a head full of blond hair. We PRAYED for Cameron before he was conceived. We PRAYED for him before he was born......and we will continue to PRAY for our little MIRACLE. Mom and baby are doing great. Cameron's sugar has been good so far and since Cameron's birth, mom has been able to eat carbs without having the sugar problems. God is soooo GOOD.........ALL THE TIME!!! Praise God for our little MIRACLE. No doubt, God has great plans for Cameron Lee Hicks and I look forward to watching God work in his life. How can you NOT believe in God when you witness his miracles? BTW....I am sharing Cameron's first day picture..........and I must confess up front, I will probably share lots of pictures in the future............I am one proud Mimi!!! Just call it Mimi insanity.....and skip past the photos if you like. Smile. I broke down last night and started writing my Christmas lists. No, these aren't the kind my daughters are writing, bullet pointing every item they hope to receive. These lists aren't about wishing at all, except for a strong desire to cross off items when they are completed. I have lists for who I need to buy presents for and what I have bought them. I have lists for what I need to do before the get-together I am hosting on Sunday. I have lists of important dates so I won't hurt any one's feelings and that I will be where I am supposed to be with what I am supposed to have at the right time. I am trying to be on top of things and organized, but . . . I know all too well that even though I may order my steps, it is our loving Father who directs them. It doesn't matter how with it I am, it is all in His hands. I am not promised tomorrow and neither are you dear Sister. So, my goal in all my lists is to remember. Yes, I need to remember everything listed, but I also want my lists to remind me that He never forgets, His love is steadfast and He has the right to intervene at any time. In my weakness, He is made evident. I need lists. He does not. And whether I complete everything on each list or nothing on any of them, Christmas is still Christmas. God is still God and He sent me Jesus. Thank you Lord! 1. It has put things in a great perspective for me and I am truly already celebrating these "Holy Days." 2. I haven't felt rushed or stressed out trying to get it all done. Maybe I have too much Christmas "stuff" but, doing it in phases has made the whole process much more fun and I have even been able to enjoy the work. 3. This year, putting up the tree, stringing the lights and hanging the stocking have been a "get to" instead of a "have to." Honestly, this really has been a blessing in disguise. I would like to say that I had been intentional to do this, but when I looked at the calendar and realized how quickly my early December days were filling up, I realized that I didn't have much of a choice. If it was going to get done, it had to happen now. While I am confessing, I will ask for your prayers too. With everything that has to be done, the gift buying, the cooking baking, the party going, you know how easy it is to quickly become overwhelmed and miss the true reason for our season altogether. There are finances to manage and family "situations" to consider as well as ministry opportunities and obligations. I can see the "Yuletide Ledge" looming with its slippery slope of temptation leading to a downward spiral of becoming overwhelmed and missing the blessings of this season. I will commit to pray for you, but I also want to ask "How do you keep Christ your focus during the bustle of the season?" I am always on the look out for practical advice on how to keep Him first. Decorating early and in phases has already helped me. I think that this practice will definitely become a new tradition, a new tradition with the purpose of helping me keep Christ in my Christmas. My youngest showing us a piece from her nativity last year. I used to be of the camp that looked down my nose at the big box department stores barely sweeping the Halloween costumes out of the way to make room for tinsel, ribbons, lights and bows. I used to refuse to listen to the first refrain of the first Christmas carol until the day after Thanksgiving. Why rush it? The last couple of years God has really been softening my heart. The greeting "Happy Holidays!" has been given a bad rap. It has become synonymous with somehow trying to take Christ out of Christmas. And, sadly yes, that is many people's intent with using the phrase. BUT! I want to take it back! This year I want to start being thankful for the incarnation at Thanksgiving. I want to start celebrating God's goodness in sending Emmanuel last weekend! I want the feelings and tidings of Christmas to flow all through the weeks of Advent into the promises of a new year. I want to wish you a "Happy Holidays!" with Christ interwoven into each day of this season. For the first time ever, I began decorating for the season before Thanksgiving. Yes, I packed the ceramic pumpkins and replaced them with my nativity scenes. Instead of three separate holidays, I am choosing to blend them together and celebrate God's blessings in one season. Didn't the feasts and celebrations in the Bible last weeks? Why can't our celebration of God sending Himself to earth be just as long? It isn't just about one day. We will end up celebrating Christmas over multiple gatherings and festivities and locations and miles anyway. In my heart, I have already begun. After all, the word "holiday" comes from its original meaning, "holy day." Add the plural "s" and there we have have Holy Days. Ladies, I am wishing you a season of Happy Holy Days! It is the day after Thanksgiving…..Thanksgiving 2012, as they say, is “in the books”. The day is over. The kitchen is cleaned up. The newspapers that were strewn all over the floor are in the garbage…the coupons are saved and ready for shopping. The refrigerator is full of leftovers and my tummy is full too! It is the morning after and I am still in my jammies….the same jammies I was in ALL DAY on Thanksgiving!! Seriously! I stayed in my jammies all day!! A dream come true!! I love hearing/reading/writing the things that people/I are/am thankful for. Typically those lists that we are thankful for includes the “good stuff” like family, God, friends, homes, freedom, etc. But what about the hard stuff? Are we thankful “in” them? Do they ever appear on our lists? This journey of life takes us along beautiful green drives and mountain top extravaganzas and ocean beach sunsets that take our breath away. It is easy to be thankful and awed at the power of our God during those “paths” of life we travel. But what about the paths in this journey of life where we have to make a U-turn or there is a detour? What about the rocky roads that cause damage? What about the long dark tunnels where we wonder if there will ever be any light? What about the speed bumps that we refuse to slow down and go over without causing damage but we rev up our proverbial engines and forge ahead and the speed bump causes damage instead of slowing us down? What do we do when the road of life takes us to places that are not beautiful or scenic or pleasant? What if your Thanksgiving day was not great? What if it was depressing for you or full of conflict? Is our attitude of gratitude evident? We must still give thanks in those places as well. Why not pick up that list you are thankful for and add to it the things you are thankful for in the hard times? Ponder, think, focus on what you can be thankful for when times are tough. Put it on paper. Look at it. Be transformed by it!! Be thankful! "Having a foundation of gratitude is a foundation that circumstances can not shake." Have you ever had a conversation similar to this with your husband before? Me: Honey, I think there is something wrong with my car. Me: I don’t know…..it just doesn’t sound right. Him: What does it sound like? Me: I don’t know….it is making a funny noise. Him: What kind of funny noise? Me: I don’t know how to describe it. Him: I will drive it around the block and see if I can hear it. Him: I drove it and didn’t hear anything wrong. Anyway…..I exit and all of a sudden my car will not “go”!! It is running. I am pushing the gas pedal and it won't go. Something is wrong! Cars are piling up behind me…..I am doing this “lurching forward” motion with my body trying to get the car to move….it is coasting….but no thanks to my “lurching”. I guess I thought it would let the angry drivers behind me know that at least I was trying to get my car to go!! I coast into a rocky parking lot with lots and lots of damaged cars all over the place. Tons of them. There was a white building with three garage type doors….all closed. I get out of the car. Walk to the building to see if anyone was “home”. Finding an unlocked door, I hesitantly open it and call out “Anyone home”? “Home”? Really? Dana, did it look like a home?? Anyway…..inside this building were several cars (all in various stages of disrepair), tools, grease, and very loud music. Out from behind one of the cars comes the tallest, largest, baldest, tattoo bearingist, nose ring wearingist, man with a Mohawk unlike I have ever seen before. He graciously walks with me to my car which is in the middle of his lot, opens the hood, pulls out the oil stick, wipes his fingers along it, smells it, (WHO does that with his fingers?? I always see people doing it with a greasy rag but NEVER a finger! Mohawk man is a MAN!!) He says it is my transmission and he can fix my car!! Great! “Can you fix it in the next 45 minutes so I can get on the road to Illinois? AND can I use your bathroom?” “No and Yes”. To make a really long story not so long…..I leave my car with Mohawk man in the middle of who-knows-where, rent a car, continue to Illinois and spend some beautiful, encouraging time with pastor’s wives in Illinois. It occurred to me as I drove away that I just might have left my car at a chop shop and when I return it will be in a million pieces and sold. AND I was going out be out a lot of money renting a car and getting a transmission fixed....AND I wanted to tell my husband "I told you my car was acting up!!" Some of you will understand what I mean when I say, "Those were a bunch of rocks I was about to pick up and put them in my proverbial wagon!!" But I honestly thought to myself, "I am the most blessed woman!!" Here my car breaks down AFTER I was off of the busy Indianapolis interstate traffic. It broke down AFTER I got off the Interstate heading west. It coasted into Mohawk man’s place of business who could fix it (granted, it would take 6 days and a TON of money!!). I was able to rent a car and make it to Illinois in time!! I will NOT put those rocks in my wagon!! I am thankful for Mohawk man. I am thankful for a God who knows my every need. I am thankful for you! If you are a Facebook person, you probably have seent he blessing post by individuals. We do have so much to be thankful for. With Thanksgiving around the corner, I have become reflective on the blessings and gifts God has bestowed on me. Of course, I am very thankful for an endless supply of chocolate that is given to me from my fellow chocoholics in my church family. Oh but girlfriends, there are so many more gifts God has given to me. Salvation: Where would any of us be with out this gift? It is free and can never be taken away. Family: This is one of my greatest gifts. My family is very precious to me. In the past I believe I have often taken them for granted, however, this year has made me fully understand to never take anyone for granted. My mom will not be with us this holiday season because the Lord called her home. Her homemade chocolate pies and made from scratch Italian Cream Cake will be missed. My sons and their families will be scattered to the four corners of the world. One son will celebrate the holiday with other deployed soldiers. I do get to spend the holiday with my father who is still recovering from a serious illness. I have a husband who loves the Lord with all his heart. The new addition to our family-Gideon- is our bright spot. 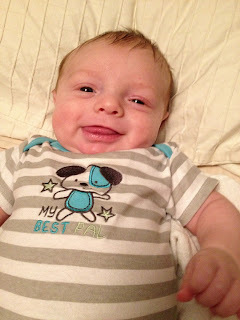 This sweet little boy has put a smile on my face and tons of love in my heart. I live each day to get photos and videos by text or the internet. In addition, Skype keeps us current on Gideon's daily feats. Friends: Each friend I have is a gift of God. They have walked into my life and helped me to learn new lessons from the Father. Some of these people were the last person I would have ever thought would be a friend let alone a best friend. However, God knew they had a unique quality that would make me a better person. Our Calling: You make be shaking your head at this idea, however, it is truly a gift. Think about it for a moment. The God of the Universe, Creator of All, King of Kings called us-mere, messed up, sinful humans-out special to tell the world of His salvation and love. How humbling! Our Church Family: My husband and I are blessed with one of the sweetest, loving church families ever. They have opened their arms and hearts and welcomed us. We love these people dearly and only pray that God allows us many years together. So girlfriends, I ask you today what are some of God's gifts to you this year? 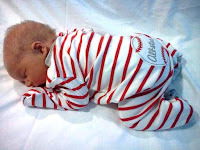 (Please forgive me but I had to share a photo of Gideon per the request of one of our sisters). For those who know me, you know how much I love chocolate in any form. I am a little embarrassed to tell you this but I am such a chocoholic that I have resorted to turning the Hershey’s chocolate syrup bottle up and letting the sweetness pour into my mouth. Oh but with every piece of chocolate I put in my body, I must push myself to exercise to get rid of those calories. Our heavenly Father is always pouring the sweetness of His blessings in our lives. Every day brings new sweetness from a glorious sunrise to a call from someone telling us that they are praying for us. Yes, God blesses us daily. However, we sometimes do not see those blessings. Sometimes God in his wisdom wants us to learn a lesson. I am one person who often takes God for granted. I call on Him when I am hurting but in the good times, the sweet times of life; I all too often forget that the Lord is with me then as well. This is when the Lord allows me to walk through a trial and exercise my faith. Now if you are like me, exercise is just one of evils of life. I am not an athletic person. I hate to run, jog, and lift weights. It just hurts! I do love a good brisk walk outdoors but I hate exercising on machines. Well girlfriends, I hate the fact that my faith must be exercised. Sometimes faith exercises can be painful and hurt too. However, with the pain in the exercise come great results. When I physically exercise daily, I feel better, my health improves, and I can fit into my clothes comfortably. When my faith is exercised, I grow more confident in the Lord. I stand firmer on solid ground and I can weather the next storm of life a little more soundly. Remember girlfriends, that with every sweet blessing God showers upon us, we need to savor it and thank Him for it. We do not need to take our Lord for granted because at some point there will be a painful trial that comes along that will help us grow stronger in our faith. Whew! I just returned from a walk around my neighborhood. It is not a leisurely walk. On my chosen route there is a steep hill. It is a hill that at times I want to stop, about-face, and run down. However, I am determined to get my pudgy, chocolate indulged body fit again. As I huff and puff I put one foot in front of the other and slowly trudge uphill. After I accomplished my hill obstacle today, I had an epiphany. As families in the ministry-and as Christians- we must daily face our personal “hills.” They are steep. They are rugged. We stumble and sometimes loose our footing and fall. At times on our hills, there are other obstacles such as hidden sins which we must climb over. There are even times when we stop, turn around and run back down the “hill” because it is overwhelming. However, when we quit, we miss the lessons and blessings God has for us when we reach the top of our hill. Ladies, let me encourage you. I-along with you- must face our ministry/life “hill” daily. We are in a battle that rages in the spiritual realms. Satan’s greatest desire for us is to throw in the towel and quit. Just like the hill in my neighborhood makes me cringe each time I attempt to climb it, sometimes life’s hills wear us down and make us grow weary in our ministry and in our Christian walk. However, we have a great God that is our trainer and motivator. He is walking right beside us. He is encouraging us. When we reach the top of the hill we are climbing today, our Lord reveals His lesson He wanted us to learn and showers us with His blessings that await us. Well, ladies, can you believe that Thanksgiving is less than two weeks away! It’s hard to fathom that another holiday season is upon us, and that we are only weeks away from a brand new year---2013! During this time of year we tend to meditate on the things in our lives that we are most thankful for---families, homes, jobs, health, basic necessities such as food and clothing, and the list could go on. Also, thankfulness and gratitude are attitudes of the heart, that really should be cultivated 365 days of the year. I try to have a heart of thanksgiving every day, but there are times when I fail to acknowledge how the Lord has bestowed on me blessing after blessing! Truly, the Lord has been good to all of us; we serve a GOOD GOD who is worthy of praise! N=Our God is Never going to leave us! The Lord is all these things, and soooooooo many more! Yes, God has given us so many wonderful blessings, too numerous to count, and He is able to work in our lives “far more abundantly beyond all that we ask or think” (Ephesians 3:20). So, I just want to thank Him for being the great “I AM”, the everlasting Father, Son, and Holy Spirit! Well, today is the day when millions across our nation will cast a vote for the next president, as well as cast votes for other individuals running for various political offices. As we participate in this long standing democratic tradition, I am reminded of two very important truths: God has established government and He is sovereign over the outcome of all elections. (1) God has established government. According to Romans 13:1, “Every person is to be in subjection to the governing authorities. For there is no authority except from God, and those which exist are established by God.” Whatever God creates is good; man is the one who taints God’s original design. My sisters, please go out and exercise your right to vote. And remember whoever is elected in the various political races is allowed to be placed in office by the Lord, for such a time as this. Pray, vote, and watch how God is always on His throne, and always in control!! When you hear the word “lifeline”, what comes to your mind? To different people it can have a wide variety of meanings. For some it may mean a special friend to confide in, or a much desired “comfort” food to help temporarily ease away the pains of life, or a little “retail therapy” to fulfill a void, or for those of you who have ever watched “Who Wants To Be a Millionaire”, it brings to mind making a request for assistance to figure out the answer to a difficult question. This is how Webster’s Dictionary defines lifeline: a line to which persons may cling for safety; something considered vital for survival. Wow! A lifeline involves safety and survival. Those two attributes most definitely describe the lifeline in my life: my quiet time with the LORD! I do indeed feel safe in His presence, and I need His power in my life to survive! Words really cannot express the extreme value and utmost importance my time with Him has made in my life. Over the last several years, I have come to cherish and appreciate those moments when I talk with my Savior, read His Word, enjoy His presence, and simply invite Him to be in my day. When I think about it, all my days belong to Him, so I desire for the Lord to guide my days. Not wanting to be legalistic, but I seem to have a much better grasp of my days when I spend time with my Lord early in the day, before my time gets filled with schedules, tasks, and a host of other activities. Some mornings when I awake, my heart is burdened with things that I need to talk with Him about…..things concerning my family, my plans for the day, church issues, having someone on my heart who is emotionally hurting or is physically sick. It’s amazing that after these consecrated times with Him, I feel as if a weight has been lifted from my shoulders. Also, some days are more “mountain top” experiences than other days, but every time I get blessed! There is absolutely nothing like that special time intentionally spent alone in His presence! So, my dear sisters, what about you? Do you have a lifeline? Do you have a spiritual discipline that has helped you to grow in Christ? I would love to hear from you. As for my lifeline……..I CANNOT LIVE WITHOUT IT!! November is the 'Thankful Month", so I have been reflecting on the things I am thankful for. I took the "Month Challenge" on facebook to post something I am thankful for each day. It was a year ago that our daughter and her husband were told that since "none of the fertility tricks" that the specialist had tried worked, that they had a very low chance of ever conceiving. Today, I am thankful for our unborn grandson, who the specialists say is healthy and rather large. His due date is Dec. 5th, but they are going to take him sometimes in November......so that makes this even more of a thankful month. Mom's pre-pregnancy size was extra small and little Cameron has broad shoulders so they are planning a c-section. After the ultrasound next week we will find out if he gets to stay in the shelter of mom's belly until the week of the 26th or if he will make an early appearance. I am thankful for Salvation and the love of Christ. I am thankful for a Christian Home. I am thankful for my husband, a Godly man; he has been my best friend for over 40 years, the father of my children and my pastor for the past 16 years. I am thankful for our Christian daughter and her husband who is a spiritual leader of their home. I am thankful for our Christian son and his Christian wife who are newlyweds. I am thankful for health. I am thankful for a church that loves God and loves each other. I am thankful for a job where I can minister to others and be myself. I am thankful for great friends. I am thankful for the opportunity to vent and bore all of my Blog Friends. I could go on and on with the things I am thankful for...........we all have things to be thankful for. What are you thankful for? I would love to hear from you. WARNING: When you hear from me next, I will be a brand new "Mimi" for the very first time. (Our daughter has named us "Mimi" and "Grandaddy" but little Cameron may change all of that. Smile.) We were married 6 1/2 year before we had our daughter.........she has been married 5 1/2 year.............so I have waited a very long time for this. I am warning you....I will be the most annoying new "Mimi" around. I CAN NOT WAIT!!!!! Please continue to pray for my daughter and our upcoming grandson. She had a difficult time getting pregnant and has had a difficult pregnancy. The high-risk doctor has already told her she has to have a c-section. His due date is December 5th, but they are taking him as soon as it is safe to take him. We had a scare last Monday....she was having contractions. PRAY for her and him and their safety and health. ATTENTION NASHVILLE LADIES and surrounding areas: Our daughter-in-law lives in Gallatin. She is looking for a job. Her major is Nutrition. They are newlyweds........and if you are from the area, you know the cost of living there.....so they really need for her to find a job. She interviewed at a bank, which she was excited about and they were very encouraging, but the lady from HR called her back yesterday and said that the position was no longer available because the girl that had it was originally trying to transfer and then changed her mind. They told her that if an opening came available, they would call her and pick up where they left off. BUT.....she needs a job. SO....if ANYONE knows of somewhere that is hiring, that does not require a Sunday commitment, PLEASE LET ME KNOW ASAP. She would love something in her field of student such as WIC but is open to ANY JOB that still allows her to attend church regularly. Help us pray that God will guide her to the job he wants her to have. Thanks Bunches!!! Our country is currently in the mist of a storm......Hurricane Sandy, which has been down-graded to Post Tropical Cyclone Sandy. Everyone is glued to their televisions tracking this very strong storm that is causing power outages, floods, destruction and even snow storms. I just saw on the news showing entire homes being sucked into the ocean. The storm is affecting millions of people. People are worried. People are praying and people are scared. But....in the mist of the TERRIBLE SANDY CYCLONE.....our country is facing another storm......the POLITICAL STORM. We need to really PRAY and seek God's guidance next Tuesday when we cast our vote. The "POLITICAL STORM" promises to be more destructive and more dangerous than even the "SANDY CYCLONE". Our nation is in trouble. ONLY GOD....can see us through this. Please pray for our neighbors on the East Coast and also pray for our Nation and our Political Leaders.